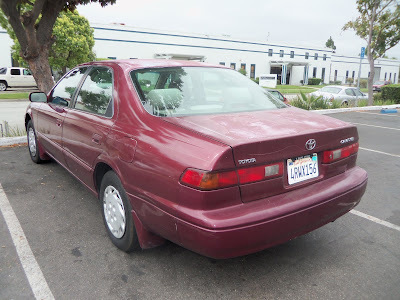 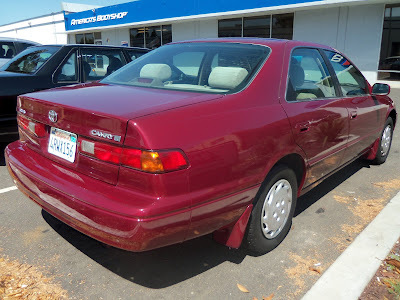 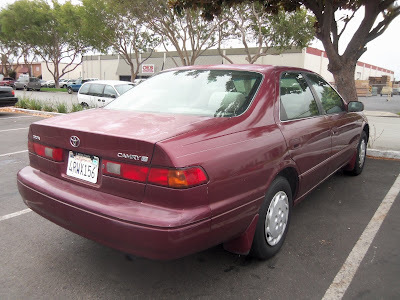 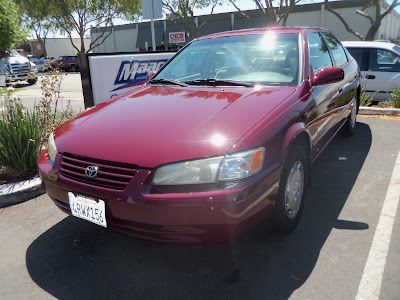 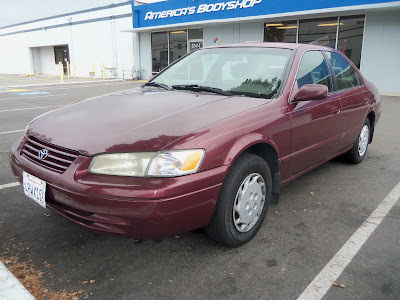 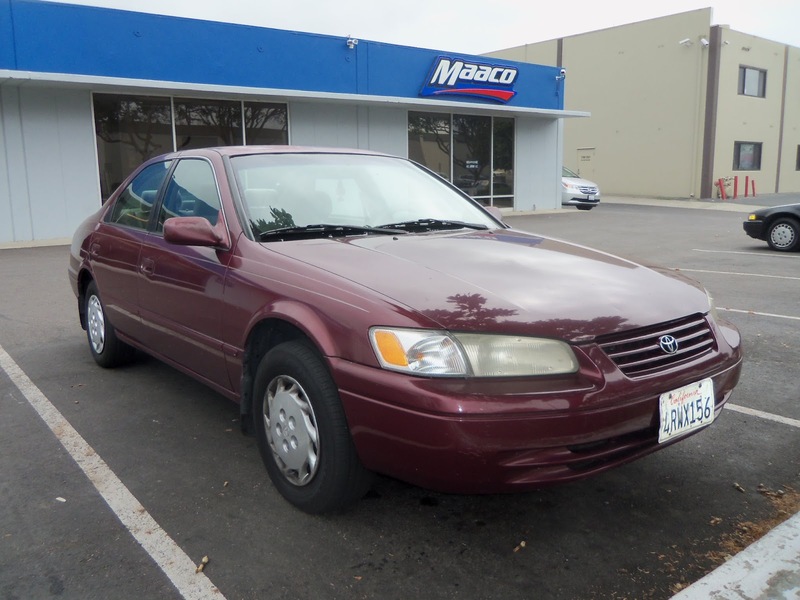 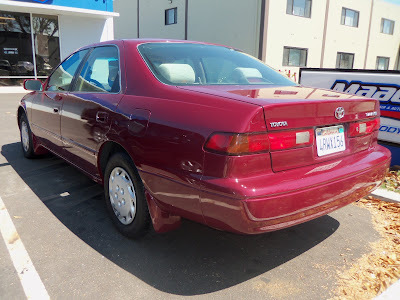 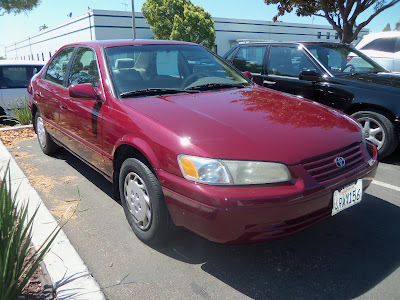 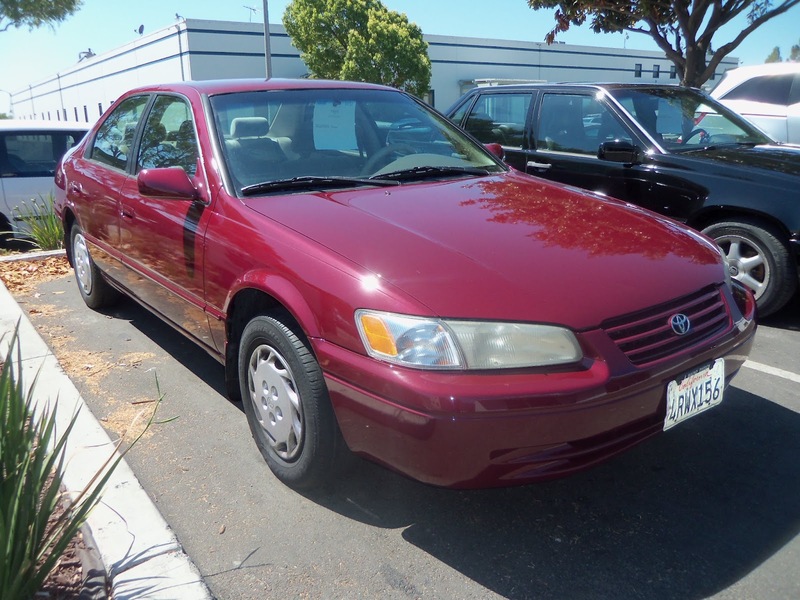 Auto Body-Collision Repair-Car Paint in Fremont-Hayward-Union City-San Francisco Bay: 1999 Toyota Camry Restored! Almost Everything's Car of the Day is this 1999 Toyota Camry, as you can see this car had a major issue with "delaminating" paint---a condition that occurs when the clear coat seperates from the color underneath. We started by removing and reconditioning the peeling paint, creating an even, smooth surface for the new primer and paint to adhere to. We then matched the factory red color and had this Camry looking great!